Editor’s Note: We’d like to welcome Lauri Novak back to Photographer of the Day, who will be curating the Outdoor category. Thank you to Rob Sylvan for all your hard work! 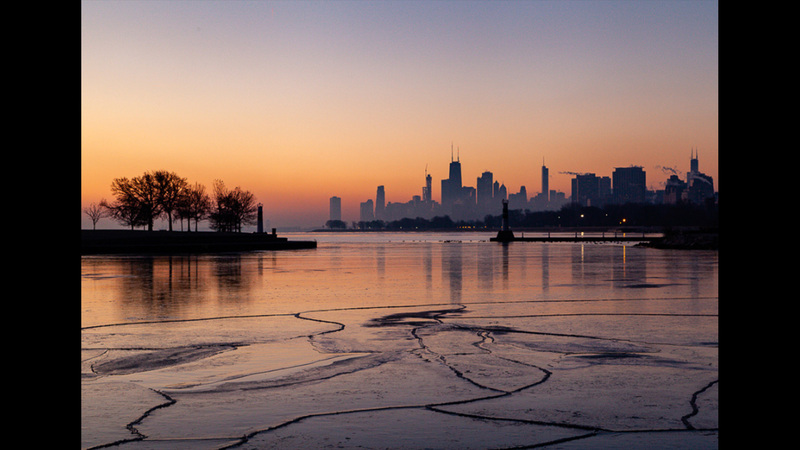 One of my favorite, not seen enough views of Chicago and early morning is the best time for this as you can see in this image. The light makes the city so soft and I love the ice in the water creating lines to lead us into the light and color of the sunrise. Good morning Chicago! Thank you for sharing with our group.